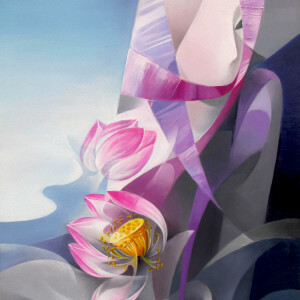 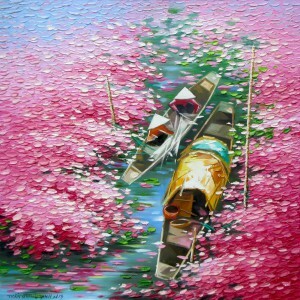 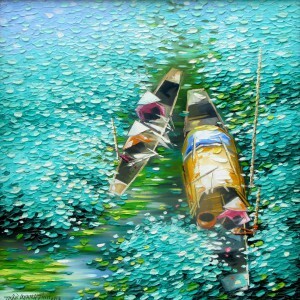 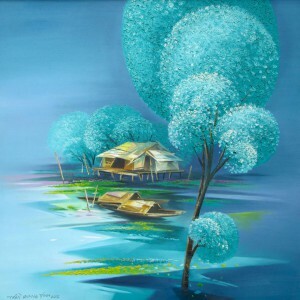 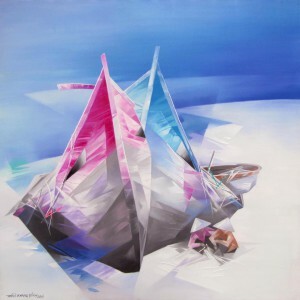 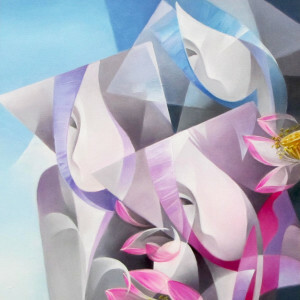 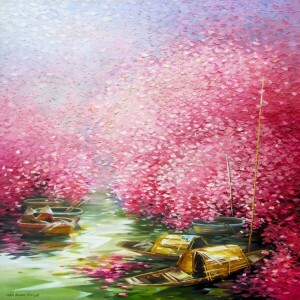 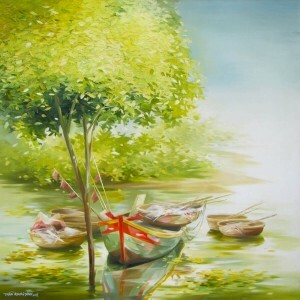 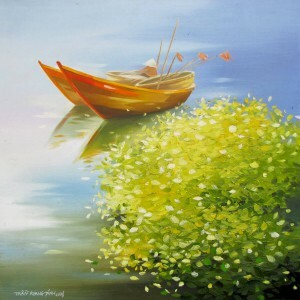 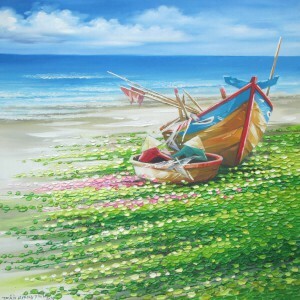 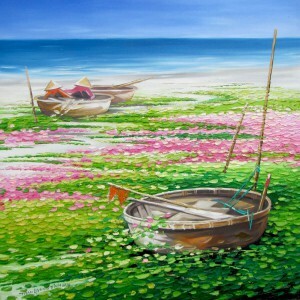 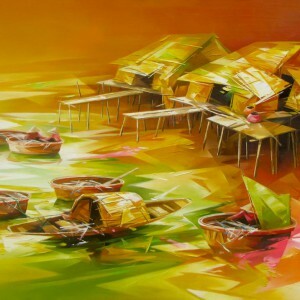 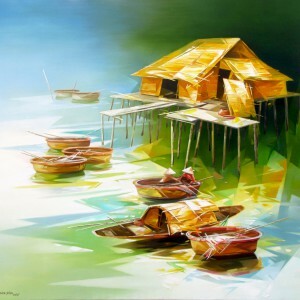 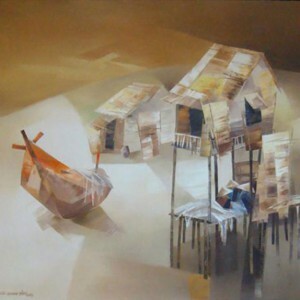 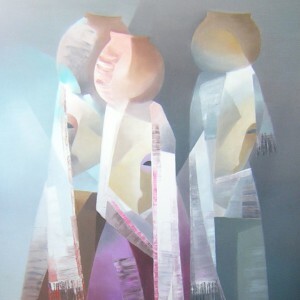 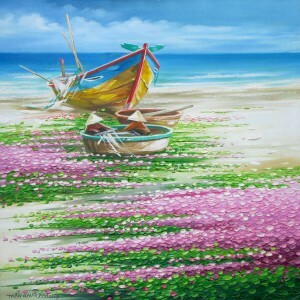 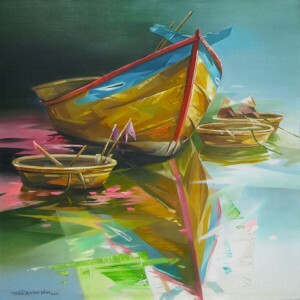 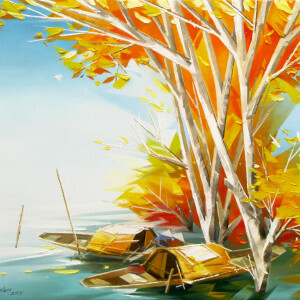 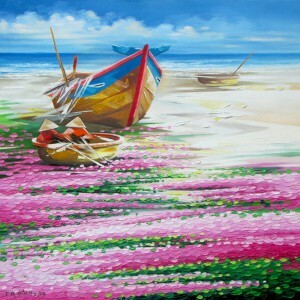 Tran Quang Dinh is fascinated by the serenity and simplicity of rural life. 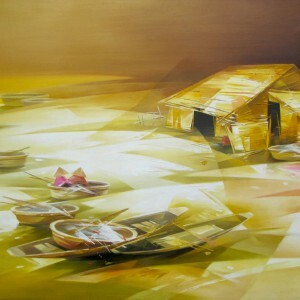 In this beautiful illustration of contemporary Asian artwork, he takes mundane rural episodes to a new aesthetical level by bringing their beauty to life using dynamic sharp brushstrokes and almost a monochrome mustard gold palette. 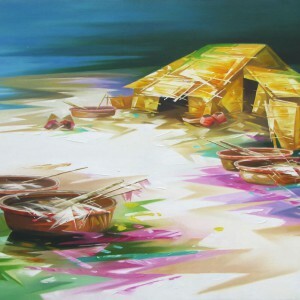 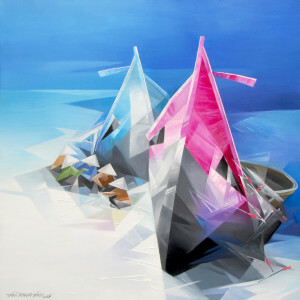 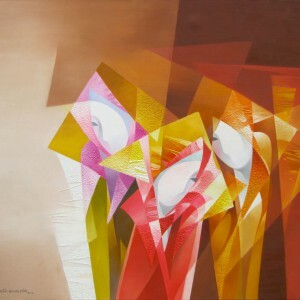 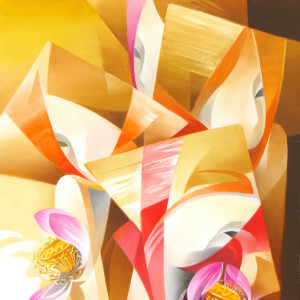 A very stylistically done painting.